Beginning October 5, Barnes & Noble College will join the nation’s largest auxiliary services support organization serving higher education at the 2014 National Association of College Auxiliary Services (NACAS) Annual Conference. 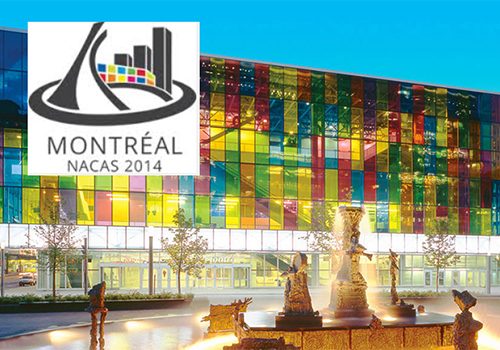 This year’s meeting will be held at the Palais des congrès de Montréal, in Montréal, Canada, and will run through October 8. The NACAS Annual Conference attracts hundreds of attendees and exhibitors looking to share best practices and discuss opportunities and challenges facing today’s higher education professionals. Barnes & Noble College will join over 150 exhibitors at the networking forum, demonstrating its products and services for NACAS members from 700 U.S. and 70 international institutions. As the needs and expectations of college and university students continue to expand and evolve, so too must the offerings of the campus bookstores that serve them. Barnes & Noble College will be part of the dialogue shaping the products and services that support higher education. Conference attendees will hear its knowledgeable team members weigh in on the latest and greatest in the industry during several educational sessions throughout the show. Saving students money on their course materials is a top priority. As a result, campus stores must discover alternative strategies to recapture textbook revenue. In this session, attendees will hear from Barnes & Noble College and campus partner Wittenburg University about the unique revenue-generating program Igniting the Alumni Connection. 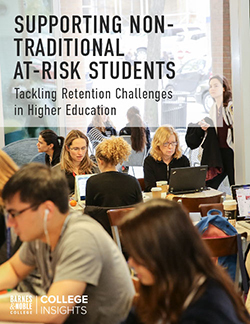 Wildly popular with alumni, this customized loyalty program has helped more than 100 schools enhance their alumni relations while also driving valuable revenue back to the campus store. 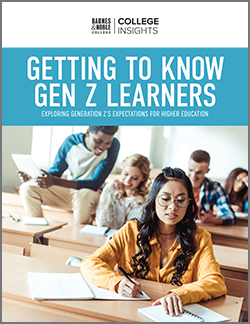 Learn how increased availability of e-textbooks accelerated development of adaptive learning materials and growing adoption rates by faculty and students. It’s clear the tipping point of the print-to-digital transition is just around the corner. In this session, Barnes & Noble College and campus partner University of Pennsylvania will review key learnings about what’s driving digital content and delivery needs from the perspective of publishers, faculty and students. Session attendees will also hear the results of Barnes & Noble College’s summer pilot program of its new digital education platform Yuzu. Attendees are encouraged to stop by Booth #201 to learn more about how Barnes & Noble College is delivering what’s next on over 725 campuses by diversifying course material options to increase savings; building deep connections to students, faculty and alumni; and creating shopping destinations, both online and in-store. In addition to exhibiting, Barnes & Noble College is proud to serve as this year’s Platinum Sponsor of the NACAS Annual Conference to recognize the organization’s hard work and creativity in connecting the industry’s auxiliary service providers with its higher education professionals. Founded in 1969, the National Association of College Auxiliary Services (NACAS) is the largest auxiliary services support organization serving higher education. With members from leading colleges and universities throughout the United States and around the globe, NACAS serves as a “one stop connection for information, insight and opportunity,” enabling its members to build strong professional relationships. For more information on the conference, visit www.nacas.org.